Moscow, Russia, November 22, 2017 –(PR.com)– The Liquid Bonus® Loyalty Aggregation Medium eliminates most problems associated with isolated, self-sufficient loyalty programs and, as a consequence, the low consumer demand for related services. The average consumer may well be registered in a dozen loyalty programs, but actively uses only 2-4 of them. 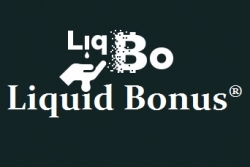 The Liquid Bonus® Loyalty Aggregation Medium solves this issue by sharing the conventional economic model of traditional loyalty programs with the additional incentive of accumulating Liquid Bonus® (LiqBo®) tokens. These can be “monetized” or exchanged for a discount in the traditional way at participating merchants. "By creating and implementing the Liquid Bonus® Medium, we aim to reduce significantly the cost of integrating common loyalty systems,” said Julius B. Kuznetsov, founder and CEO of FINSTICK Innovations "In addition, we shall provide much higher throughput and performance than competing public Blockchain-based solutions." FINSTICK Innovations LLC is a startup aimed for advanced developments in the emerging fintech and blockchain industry. Incorporated in 2017, FINSTICK Innovations is backed by highly motivated professionals in cryptography, mobile payments, smart-cards, telecommunications and value-added services. With our average 20+ years of field experience and several invention patents, our team is bearing the best practices of software design and development, optimization of algorithms, conceptualization and integration of complex IT systems. The Blockchain driven Liquid Bonus® Loyalty Aggregation Medium is a complementary loyalty system aimed at unlocking the loyalty market potential by "activating" dormant customers who are subscribed but don't participate. The LiqBo utility token works with a user-friendly mobile interface, is interoperable and has no legacy loyalty program holding it back. As such, it will unite the fragmented loyalty market into a single, healthy eco-system.